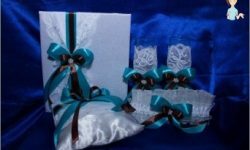 Home / Needlework / Packaging - the art of gift giving beautiful! Packaging - the art of gift giving beautiful! Have you ever noticed how much worriedman opening a gift, wrapped like a precious work of art? And what you get such gifts, which deploy a pity? Surely you accept such a present with enthusiasm and trepidation. packaging can often say about giving muchmore than the content itself. After wrapping a gift and is beautifully decorated with their own hands, and you put a piece of the soul, warmth and caring about the other person. And if the man meet on clothes, your a present this applies to the same extent. "Dress up"It is beautiful, and it is exactly stand out amongothers. Gift wrapping his hands - a valuable skill that will make you the most anticipated guest and a man capable of surprise. Suppose you do not stop the idea that art is only available to masters who have undergone special training in by the decor and design schools. To create your masterpiece, you can combineany colors, textures and elements. 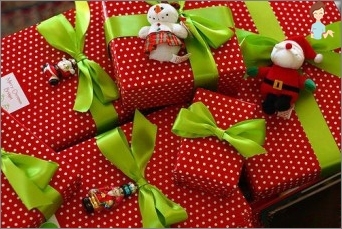 If you do not know how their own hands to learn how to pack a gift that would be able to surprise the person you do not even have to look to attend special workshops. Just look at the photo subject. To work, you can find a large number ofPaper choices for decor - in a variety of styles, textures and colors. You can choose a simple version, for example, a strong kraft paper, and make the very rich decor. Decorative elements (of them will be discussed below). You have the option to create stylishframing virtually everything to hand. Take paper and pencil and liquid corrector. Gently dunk edge pencil with eraser in a bottle with a white liquid. Apply a pencil to paper, creating the effect of fabric with polka dots. Use the art of quilling and doa couple of flourishes instead of tape, attach them with glue to the package. This is the simplest version of the jewelry that you will be easy to make in the office at lunchtime. 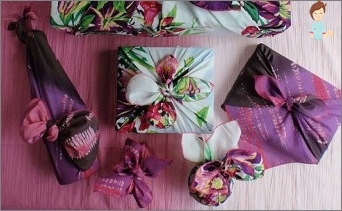 The same method of packaging, created by the hands,ideal for a wedding gift. There may be supplemented by the form of white ribbon, perhaps a flower or a small bow. You can not engage in painting. Buy the paper, on the one hand, for example, red, and on the other - white. Cut it in half and wrap your gift(Best of all it will look on the box), the bright side out. 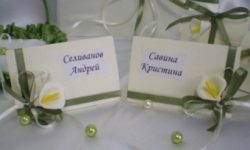 The second piece of paper make a slit in the form of poluserdets, butterfly wings, Christmas tree, angel - the idea of ​​a present for a wedding or christening of children. Again wrap, but the bright side of the interior of the package. Cut the edges bend outwards. You will get a present from the three-dimensional image. It looks very impressive this box. If the recipient - your very close person, notunfamiliar colleague, do not use ready-made gift bags, boxes and factory too much decoration. With a minimum of elements, you can make decorations that will look much more elegant or fun than all those boring and dull decor items and mass production of the tape. 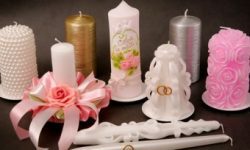 Buy some wire, fabric, ribbon, tapestore products for hand-made. Almost without making effort, you can make your own hands unusual packaging for gifts. Pofantaziruet. Remember than interested in the person you are about to bestow. For example, if a man like yachts ormotorcycles, get the wrapping paper with marine or biker theme. If this is difficult, because the culture podarkodareniya we are not too well developed, you will have to use their creativity. For myself perfectly shows the way stampingpackaging for gifts. Make a blank in the form of a ship, fish or anchor. The easiest way - cut along the contours of cardboard. You can find ready-made themed stamp and store. Take fabric or wrapping paper and one tone, using special paint, evenly apply the image. To ornament features original,see what magazines lying around in your home. Perhaps among them there is a couple, devoted to travel. Cut from magazines themed illustration, palm tree trunks, the same boat, and affix them to your package - carton or kraft paper. Attach the little funny things to the construction - the toy, interesting mini-card with greetings, tag from salt dough, sweet or tiny trinket box with another gift. There is no more reliable "friends"In the preparation of the package, the glue and tape. Engineers marvel at how much all can be repaired with it. And you can experience all the benefits of these helpers. Adhesive tape and glue, especially when paired perfectly showthemselves to work with natural materials: twigs, flowers and other elements, which are now fashionable to decorate the packaging to give them an organic look. Use small pieces of adhesive tape to make it look neat and not as if you just took the box out of the service delivery of goods in bulk from China. Just remember that with the use of these "fixers effect"Be careful. Do not overdo it. It is too tightly packed gift will be hard to unpack as you can disappoint its recipient. Scotch really help you out when you pack your own hands gift for menWho loves only useful things. For example, you can attach the box to the little things that come to the rescue, for example, a carbine. A perfect complement to the present will be balloons. Tie a few balls with tape or securely attach "tails"Tape to the present. This positive emotions of the person you're handing a bundle of joy. For a consumer culture based on the concepts of "Bought - gave - forgotten"Tradition handing the presents for many yearsa formality that does not require special treatment in this process. But, for example, the Japanese, known for their highly artistic skill in using a minimum of tools to produce the maximum effect, the tradition of packing formed thousands of years. Making gifts in Japan - a ritual with deep meaning. And often wrap itself is hardly probable notmost valuable gift. When a Japanese man creates his own hands to pack the gifts in the course can go anything, and box often is not needed. Furthermore, the complex schemes in which people with their hands collect gift packaging, can also not be necessary. For this purpose two interesting method of furoshiki and Tsutsumi. Both methods are based on present wrapping ata cloth or tissue paper. 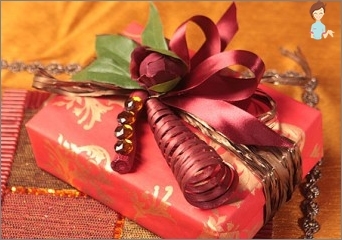 You can use simple techniques of gift wrapping, putting a gift to the canvas and just beautiful tying his hands bow or nodules, or else follow the multifaceted art of draping and the creation of a "solemn" folds (all twisted to the left) or loops and curls, to hint at something what is inside. As furoshiki and the Japanese TsutsumiThey are of particular value. Every year, with the help of these methods it is possible to save thousands of trees, and do not throw hundreds of meters of fabric - the remnants of clothing manufacture. For the nation, often experiencing natural disasters, love, respect for nature and conservation of its resources are very important. For decades, the industry is actively developing not only the creation of the gift of decoration, but also bags, a kind of stylish "avosek"Of the object, which is always at hand -Neck handkerchief or scarf. This unusual technique offers a wide variety of schemes, which you can create stylish and harmonious package, appropriate for any event.